Kantele of Finland meets Koto of Japan. These two stringed instruments join together for an electric and acoustic collaboration. The instrument that EVA performs with is a "electric kantele", an electrically amplified version of the traditional multi-stringed instrument "kantele" from Finland. The instrument that TOMOYA performs with is a "25-string koto", a 25 stringed version of the traditional Japanese stringed instrument "koto". 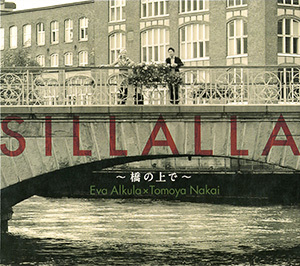 Eva and Tomoya create innovate music while maintaining tradition elements. 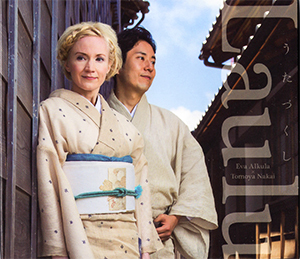 The two also establish cultural exchange between Finland and Japan by performing music with themes influenced by ancient stories and traditional music from each other’s countries. ← Please click the like button! In Greek mythology, Orpheus was a legendary harpist who traveled to the underworld to save the love of his life. While in the underworld, Orpheus played the harp to overcome the many difficulties that he faced. Orpheus has agreed that he would not look back until both he and his wife had reached the upper world. However, because there was nothing but silence behind him, he could not help but look back. With the loss of his wife for the second time, Orpheus continues his search in sorrow. Finally, Orpheus was ripped to pieces by Thracian Maenads for not honoring his previous patron Dionysus. He was then thrown into Helicon River. Orpheus's body was then collected by gods of music and his harp was placed among the stars by Zeus. Orpheus now shines in the summer night sky known as Lyra. 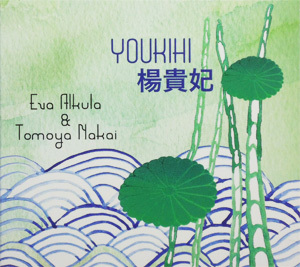 • Performed in Tampere for "Duo Concert"
• Recorded the album "Hashi no Ue de"
Copyright © 2011 tomoyanakai.com. All rights reserved.